SPEAKING – IINSPIRE MEDIA – Do you have a book inside you? Julie’s engaging and interactive workshops focus on writing, self-publishing and promoting your book. If you are looking for a leader in the field of self-publishing to speak to your group or organisation, then look no further than Julie. Presentations can be one hour, two hours, half day, full day or weekend. All are tailored to suit your organisation’s needs. Why wait years to be accepted by a mainstream publisher? It’s time to take back your power! This workshop is a step by step guide to creating and self-publishing your own printed book. Publishing your own book establishes you as an expert, and can bring you career acceleration, money and opportunities beyond your wildest dreams. Bypass rejection letters from publishers. Learn how to write, edit, publish and get your book on Amazon and print copies to sell locally at events and book signings. It no longer makes sense to go through a mainstream publisher. With the rise of the internet, never has there been a better time in history to be a DIY author and go directly to your target market. Millions of ereaders are being sold each month. Join the e-publishing revolution now! 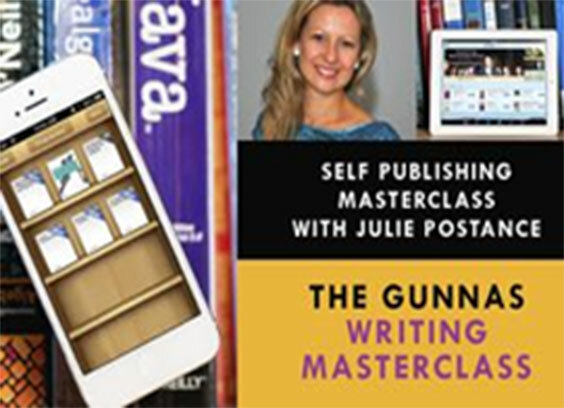 This course, presented by Julie Postance, author and publishing consultant, will discuss how you can get your book out there via publishing on the Kindle, iPad and other electronic devices. WRITE AND PUBLISH YOUR CHILDREN’S BOOK! There is nothing more fulfilling than making children smile by reading to them. Why not make it your own children’s book! Did you know that less than 0.1% of writers get accepted by mainstream publishers? Why wait years to be accepted by a mainstream publisher? This workshop is a step by step guide to creating, publishing and promoting your own children’s book in both printed and ebook formats. Writing a book is a powerful marketing tool for you as a business owner. Publishing your own book establishes you as the expert and authority in your chosen field, setting you apart from others in your industry. Having a book gives you huge leverage and you can literally go from ‘unknown’ to ‘expert’ overnight, bringing you career acceleration, opportunities and a much higher income. With the newly established credibility you can begin holding seminars and workshops, commanding consulting fees, get paid to speak, being interviewed as the ‘expert’ on the subject, securing more clients and of course selling books. It will encourage customers to buy your products, services and help build your mailing list. Don’t wait for years to be published by a mainstream publishing company who publish less than 0.1 % of manuscripts! This course is a step by step guide to planning, writing, publishing and promoting your printed business book and ebook. Your course is brilliant! I absolutely loved it! I created and published my ebook in 4 weeks! You allow people to realise their dream, you provide easy to use templates and then you hold their hands and show the way. You share everything and this is rare. Thank you so much! So much gratitude and appreciation to you lovely, talented & amazing lady. By far one of the most productive days of my entire life. Pure Gold! Thank you so much for the workshop. You are truly gifted. I really appreciate your positive words of support and enthusiasm for all of us. We should definitely keep in touch and I look forward to following your publishing career flourish and hopefully will fill you in on my ideas as they come to fruition. Many thanks once again. 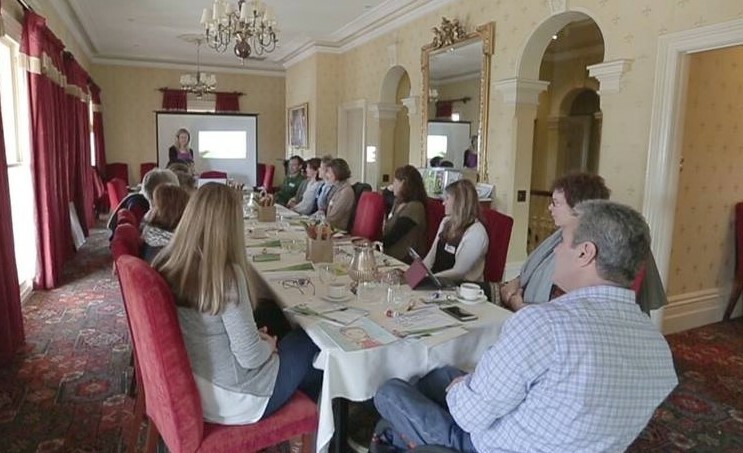 I thoroughly enjoyed your session on Saturday – what an amazingly generous day of info. There was not one dull moment. It was exactly what I needed to focus my head on a few ideas (and ignore some others!). It was an absolute pleasure to meet you and I look forward to having the opportunity to use your services again in the not too distant future. A few one:one mentoring sessions sounds like just the things I could use – when I have some words down, that is 🙂 Many thanks for all the wisdom and resources. The positive feedback is incredible. You do an AMAZING job. Your course is really a gold mine for self-publishing. I feel really confident now that it is a real option for me. I will be in touch when I have made some progress, for some much needed mentoring! It’s been a terrific learning experience. I hadn’t a clue how I might self-publish and have now walked away confident I will market some top sellers! My published book, The Majestic, is a testament to your skill as a trainer. Julie is an inspirational and great educator. I’ve learnt so much during this course and am ready for the next step – getting my book finished! Writing your book or finding someone to write it for you! Uploading your book on Amazon, the biggest seller of books in the world! Ensuring you have an author platform (website, author FB page, Twitter, LinkedIn etc). Course includes videos of successful self-published authors, highly interactive activities, and tips and tools that you can implement immediately in order to create your book. The epublishing revolution, collapse of retail booksellers and decline of the printed book, the massive increase in sales of ereaders. The world of Amazon, the biggest book seller in the world. Preparing your book for the Kindle – designing your ecover, etc. Publishing your book on the Kindle. Marketing your book on the Kindle. The Amazon Kindle lending library program. Preparing your book for the iPad, Barnes & Noble Nook, Sony Reader and Kobo Reader. The world of Smashwords – a platform where you can publish your book on 9 different ereading devices. Creating enhanced ebooks for the iPad using the best publishing platforms out there in the world today. There is nothing more fulfilling than making children smile by reading to them. Why not make it your own children’s book. Did you know that less than 0.1% of writers get accepted by mainstream publishers? Why wait years to be accepted by a mainstream publisher? This workshop is a step by step guide to creating, publishing and promoting your own children’s book in both printed and ebook formats. Why wait years to be accepted by a mainstream publisher? It’s time to take back your power! This workshop is a step by step guide to creating and self-publishing your own printed book. Publishing your own book establishes you as an expert, and can bring you career acceleration, money and opportunities beyond your wildest dreams. Bypass rejection letters from publishers. Learn how to write, edit, publish and promote. It no longer makes sense to go through a mainstream publisher. With the rise of the internet, never has there been a better time in history to be a DIY author and go directly to your target market. Millions of ereaders are being sold each month. Join the e-publishing revolution now! This course, presented by Julie Postance, author and publishing consultant, will discuss how you can get your book out there via publishing on the Kindle, iPad and other electronic devices. Course includes videos of successful self-published authors, highly interactive activities, and tips and tools that you can implement immediately in order to create the best business card.